Darmstadt is a city in Germany located in the state of Hessen 35 km from Frankfurt. It is the old capital of the Duchy of Hesse. 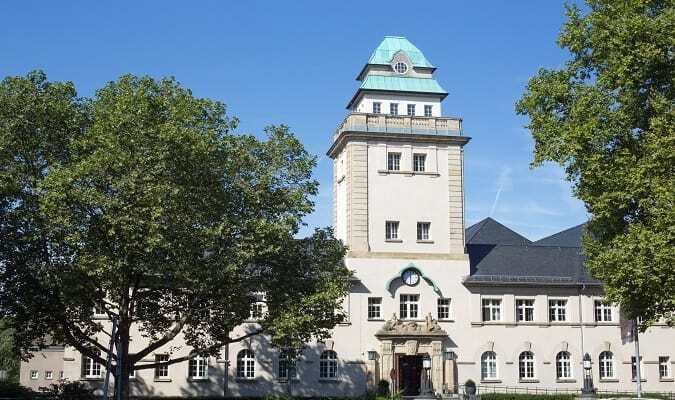 The Mathildenhöhe is one of main Darmstadt´s attraction, where Duke Ernst Ludwig established an artists´ colony in 1899. You will see many Art Noveau houses, art exhibitions. It´s worth visiting the Hochzeitsturm´s platform (Wedding Tower). The Russian Chapel is an orthodox Russian church built between 1897 – 1899. 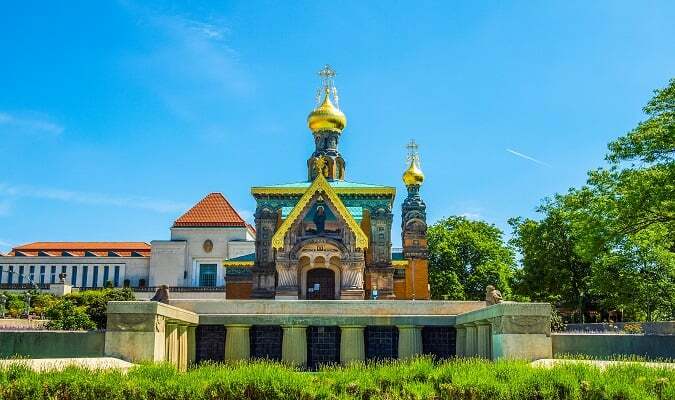 It was used as private chapel by the last Czar. 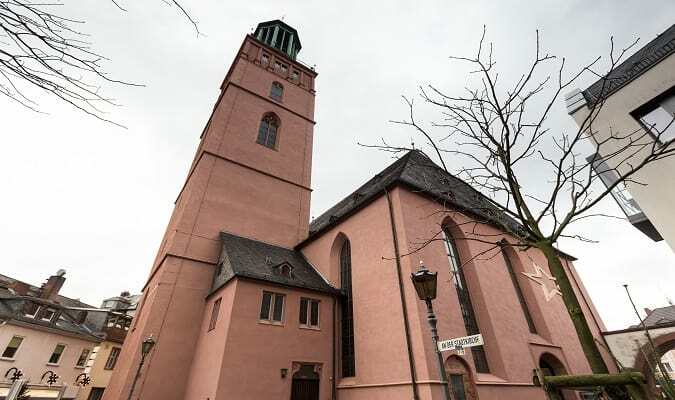 The Stadtkirche is a protestant church located in the pedestrian area of Darmstadt. The church has Gothic, Renaissance and Baroque elements. The Waldspirale is a residential complex in Darmstadt. The construction was finalized in 2000. The complex has more than 105 apartments and more than 1000 unique windows. The Orangerie was established in 1716 by the Duke Ernst Ludwig. Today the buildings are used as a restaurant and a place for many events. The Schlossmuseum was established in 1924. 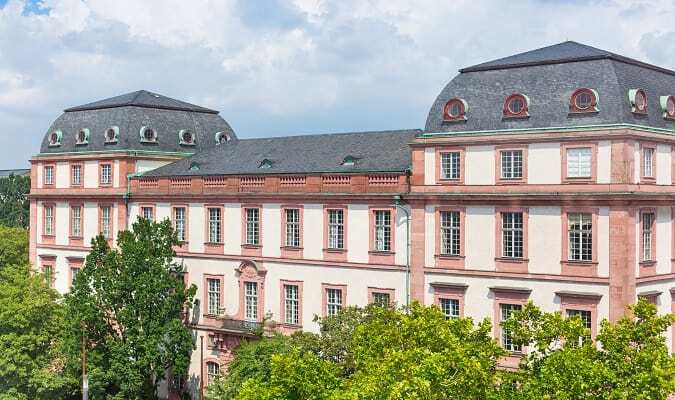 The exhibition is about the history of the Duchy of Hessen-Darmstadt and the history of the city as a royal residence through portraits, furniture. The Hessisches Landesmuseum was opened in 1906. 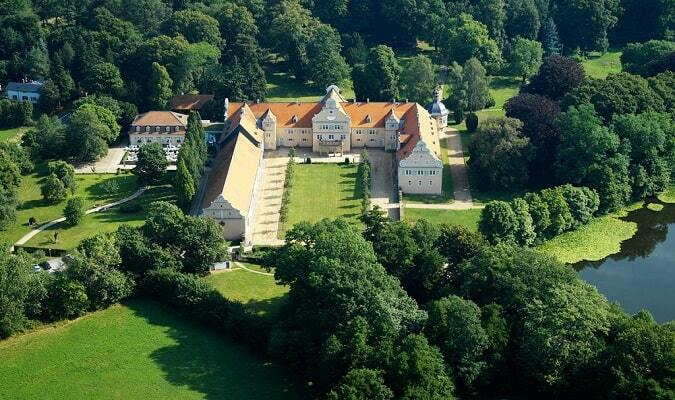 The museum houses collections of art and natural history of the counts and grand dukes. The St Ludwig is a church built in 1827. It was the first catholic church after the Reform. The Jugendstilbad was built between 1907 – 1909. It is a true temple of wellness. 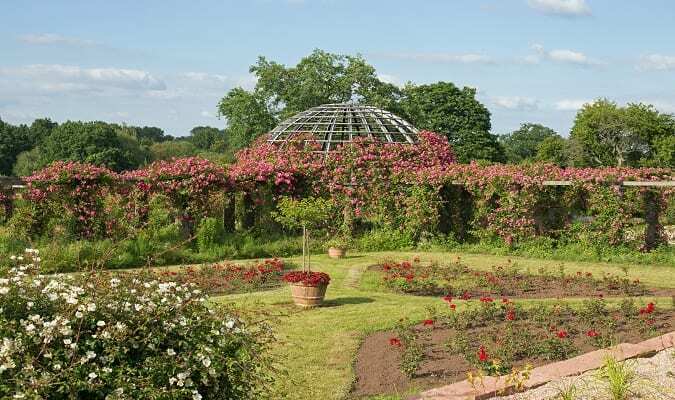 The Rosenhoehe is a highlight of Rosenhoehe Park with a wide variety of roses. It also serves as the cemetery for the dukes, with two impressive mausoleum buildings in its remote parts. The Darmstadt’s Science and Conference Centre was built between 2005 – 2007. The conference complex also has a restaurant, the Calla. 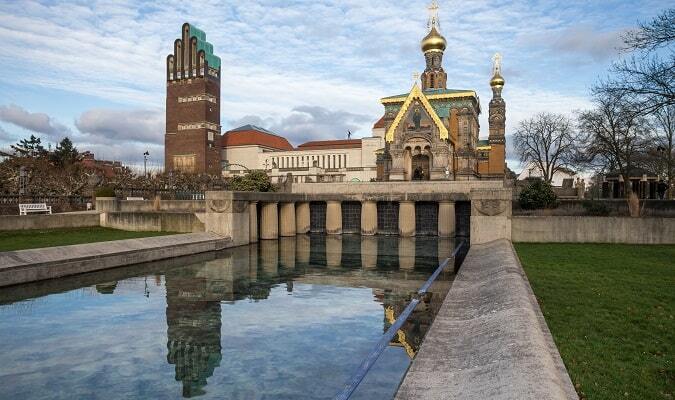 The St Elisabeth Church is located 1 km from the Marktplatz near the Herrngarten Park and the Prinz-Georg-Garten. The Frankenstein Castle is located 14 km from Darmstadt city center. It is believed that the castle served as inspiration for Mary Shelley when she wrote her Gothic novel Frankenstein. The Intercity Hotel Darmstadt is located 1,8 km from the Luisenplatz close to the Central Station. The Maritim Konferenzhotel Darmstadt is located 1,4 km from the Luisenplatz. Rooms are equipped with a flat-screen TV, work desk, safe. The hotel has a swimming pool. The Hotel Jagdschloss Kranichstein is located in a green area 5 km from the Luisenplatz. All rooms are equipped with a flat-screen TV. Some accommodations have a sitting area. The Luisencenter Darmstadt is located at Luisenplatz close to the Galeria Kaufhof. The LOOP5 is located 4,5 km from the Luisenplatz. Brands: Douglas, Levi´s, Mango, Marc O´Polo, Marc Shoes, Swarovski, Saturn. Darmstadt has easy train access from various cities in Germany. Famous cities nearby: Frankfurt, Mannheim, Heidelberg, Wiesbaden, Würzburg, Nuremberg, Koblenz.